Hospice care isn’t always the easiest thing to talk about and many people don’t have a clear idea what hospice actually is. Even after 25 years, most Americans aren’t aware of the advantages hospice brings. This mostly comes from our country’s resistance to talk about death. However, hospice is undoubtedly this best choice for end of life care. Not only for the patient, but the family as well. It’s so important to talk about and dismiss the myths that surround the hospice community. 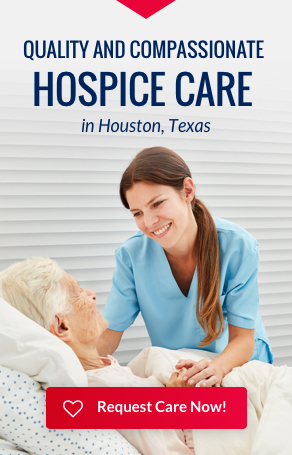 Hospice is a place– Actually, hospice care takes place wherever the patient needs. 70% of hospice patients are cared for in their homes. Hospice is only for Cancer patients or AIDS patients– Statistically, more than half of hospice recipients are diagnosed with other terminal conditions. Serving families coping with the end-stages of chronic diseases, like emphysema, Alzheimer’s, cardiovascular, and neuromuscular diseases. Choosing hospice means you have given up– The beautiful thing about hospice is that it helps families share in the end of life process, through personal and spiritual connection. Many families find immense comfort when looking back, knowing they did everything possible to make their loved ones final hours peaceful and comfortable. Hospice is just for the patient– Hospice is a family-centered program, focusing on the grieving families just as much as the patient. Many hospice providers reach out the community as well. Hospice is only for the elderly– Hospice care is for all ages. However, most patients are seniors. Medicare won’t cover services– Beneficiaries can use their Medicare hospice benefits anytime they choose. Hospice isn’t for people who need a high level of care– Most hospices are Medicare-certified, requiring that they employ experienced medical and nursing personnel with skills in symptom control.